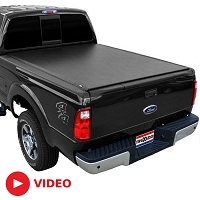 Grabbing a new, high-quality Super Duty tonneau cover for your 1994 to 2003 F250 or F350 is usually one of the first things a new truck owner does as a day-one upgrade. 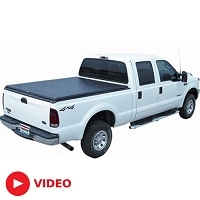 Our tonneau covers keep all of the stuff in your bed safe and secure, whether it's high-speed driving, unsavory individuals, or certain critters that you're worried about. Stage 3's Super Duty tonneau cover selection ranges from basic soft roll-up designs, to heavy-duty aluminum and vinyl tonneaus that fold, slide, and/or lock in nearly any position for more versatility in the load management department. After you have a new tonneau cover, head on over to our lift and leveling kits page for even more fun! If you're rolling in a 94-03 Super Duty with a naked bed, what are you waiting for? Throw on an aftermarket tonneau cover and reap fuel mileage, style and cargo protection benefits instantly. We carry tonneau covers featuring both roll-up and folding designs to suit varying preferences, and our selection comes from the most trusted manufacturers in the industry so that you can drive in confidence. 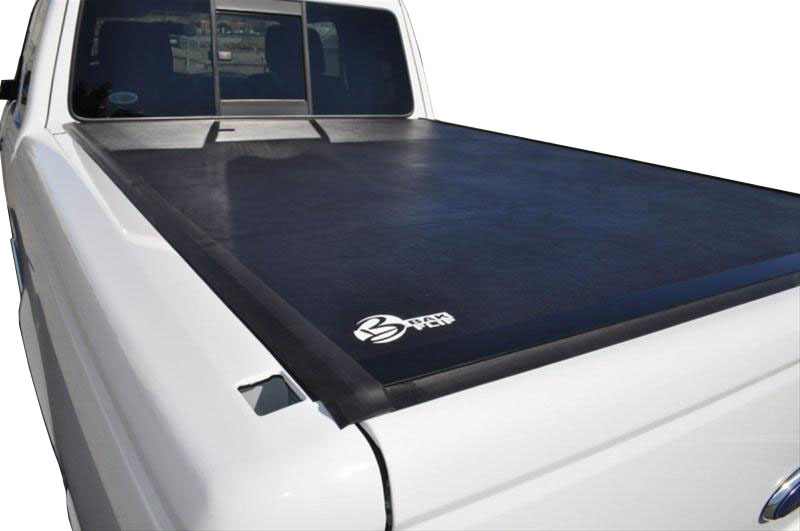 When it comes to finding a high-quality tonneau cover that won't let you down, you really can't go wrong with Bak Industries. Bak is known for their stylish and advanced tonneau covers and they've built quite a reputation in the industry. Their VP cover is made out of high-quality vinyl that's attached to a durable aluminum backing which makes it very strong and damage resistant in even the most harsh weather conditions. The vinyl features a nice, rippled finish that's UV resistant to prevent fade and wear for the life of your truck. BakFlip's VP Tonneau is tough enough to withstand rain, hail, and any random road debris without tearing, cracking, or failing to hold up.